The City of Angels attracts a fair number of celebrities who party too hard and end up facing charges of DUI in Los Angeles. 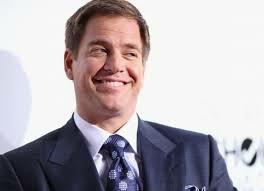 The most recent case was Michael Weatherly, a longtime actor on the television show NCIS. He spent 15 hours in jail in early November after police pulled him over for speeding. Since Weatherly’s reported blood alcohol content measured above the legal limit of .08, he is now looking at two counts of DUI. Since Weatherly is a first-time offender, however, he’s not likely to face jail time. Let’s also quickly survey two big out of state celebrity DUI cases. TMZ reports that police in Eleanor, West Virginia, found Chris Duhon passed out in his car on November 30th. Duhon, a basketball star at Duke from 2000 to 2004, had left the keys in the ignition and the motor running. After Duhon allegedly exhibited telltale signs of DUI–red eyes and slurred speech–policy gave him three field sobriety tests,which he reportedly failed. They then took him to the Putnam County Court House and gave him a breathalyzer test. Police say that Duhon’s blood alcohol content measured .202, which is two and a half times the legal limit both in West Virginia and right here in Los Angeles. Duhon got out of jail on $1,000 bond. Here’s hoping he has some savings: his current employer, Marshall College, suspended him for violating the school’s rules and policies. Meanwhile, former Eagles Quarterback Donovan McNabb recently got an 18-day sentence in Arizona for his DUI arrest last June. After McNabb rear-ended a car at a stop light police gave him a breathalyzer test and reportedly measured his BAC at 0.17. It won’t be McNabb’s first time in jail for DUI. The New York Daily News said the quarterback-turned-sportscaster served a one-day sentence on similar charges back in 2014. CVC section 23152(a) and (b) define the crime of DUI in Los Angeles and stipulate a variety of possible punishments, including jail time, fines, license suspension and more.